Captain Shawn Trowbridge just called in wrapping up a sundowner bite on the Yellowfin Tuna. 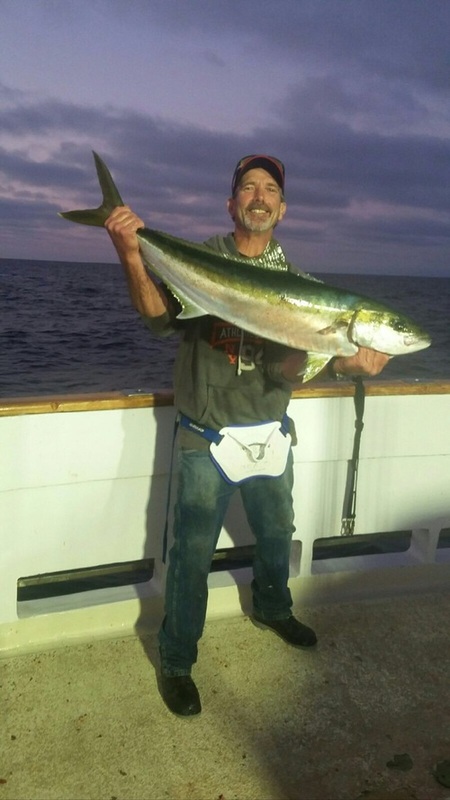 They have over 40 YFT and also a nice count of big Yellowtail! The weather is nice and ALL trips are a DEFINITE GO, including another 1.5 day departing tomorrow night! Come on down to Point Loma!